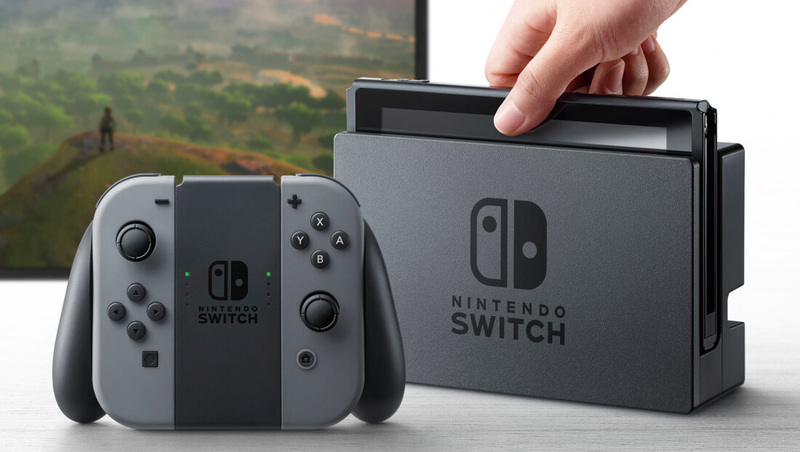 One of the few details Nintendo has revealed about its upcoming Switch console/handheld hybrid is that it’s powered by a custom Tegra mobile processor from Nvidia. It was thought that the GPU maker’s Pascal architecture would make its way into the chip, but this reportedly won’t be the case; instead, the Switch will use the last-gen Maxwell graphics architecture. The news comes from Gamesbeat, which cites two anonymous sources familiar with the system. It reports that going with Maxwell means the Switch should offer around one teraflop of performance, making it almost half as powerful as the 1.8 teraflop PlayStation 4. It seems that Nintendo just didn’t have time to wait for Pascal technology - built using the 16nm fabrication process - to be ready for integration into the Switch’s all-in-one Tegra chip. The company is in a hurry to bring out a machine that can replace the increasingly unpopular Wii U, and wants the Switch on the market before any competitors release a similar device. Additionally, using Maxwell architecture, which was first introduced in 2014, in the ARM-based 20nm Tegra chip means Nintendo can keep the cost of the Switch down. Retailers have reported that the console’s base price will be around $250. Fans may be disappointed with the news that Nintendo has opted for the less powerful choice, but the company isn’t advertising graphical fidelity as the Switch’s big selling point. Besides which, it’s still likely to be able to handle many modern games, especially when docked, and the rumored 720p resolution of the 6.2-inch screen shouldn't require much graphical power, particularly if developers drop the resolution to 540p and upscale to 720p. "I don’t see Nintendo’s strategy as a risk," said Jon Peddie, analyst at market researcher Jon Peddie Research. "Too many pundits and fan boys and investors make a serious mistake when they try to compare and contrast Nintendo with Sony and Microsoft. Nintendo has a niche in the affordable, accessible product, and performance is never a leading criteria for them. It is gameplay and immersion. They are never a technology pioneer. Trying to compare Nintendo to Sony is like comparing a Volkswagen to a Corvette. It’s a facetious and fallacious analogy and a discredit to fans who love Nintendo." We’ll discover more about the Switch during a livestream event in Tokyo on January 12, which will be followed by a hands-on presentation in New York the next day. As stated already in the news, Nintendo is not known for pioneering, they have their loyal fan base and target audience, and knows how to use that to their favour. I'm excited for it, I think before the latest console wars, besides game titles the "internals" on the consoles were never an issue, as long as they delivered. And now people make all kind of stupid -dumb, in case it gets filtered- assumptions and comments like "make the console upgradable, what if I want more ram", like it would make games run better than their designed and platform intention was, or that they might get a magic plug to have a next-gen console on their old one. Man they should have just waited because pascal is miles above maxwell and way more power efficient. m4a4 and ForgottenLegion like this. By the same token, if they had used Pascal, they could've waited a bit longer for Volta. They have to take a decision sometime and obviously it won't please everyone. The again, graphical fidelity has never been high on the list for Nintendo if memory serves correctly. I am not surprised at all. When I heard the price I knew it will not as powerful as the other consoles. The biggest problem of using Maxwell is that it will have no async compute to help the weak ARM CPU and most likely while playing something like the new Zelda the battery won't last more than 3-4 hours. Async on ARM architecture and without Windows OS (DX12)? Cool story. Even if possible, Pascal isn't much better with async over Maxwell anyway. For a portable machine they should have picked Pascal. Battery life would have improved greatly. Although I'm not surprised, this is Nintendo after all. They have to f*** up the hardware at some point. 1 Tflop vs. 1.8 Tflop: "almost half"... what? Half of 1.8 is 0.9. The Switch will be more than half of the power of a PS4. Reehahs and Puiu like this. Hopefully this isn't true. If the system is that weak then developers are going to abandon it just as fast as they did for the wii u. And now people make all kind of stupid -dumb, in case it gets filtered- assumptions and comments like "make the console upgradable, what if I want more ram", like it would make games run better than their designed and platform intention was, or that they might get a magic plug to have a next-gen console on their old one. Point made. Thanks for participating. Well there goes hope for a 1080p display, but a mobile Wii U/Xbox One is still pretty cool. Nintendo is determined to keep repeating its mistake. The author says that Nintendo knows its core audience and it is catering to them. The problem with that is that their core audience is shrinking. Casual gamers have many options including tablets, cellphones, computers, notebooks, media players, classic consoles, plug and play and even Xbox One and PS4 as the prices of consoles and games decline. By the time Switch releases,we will be on this generation's 2nd iteration and Switch will be woefully under powered for a next gen con...that combined with alternatives gaming will likely limit the Switch appeal. All the whining is a trip. The Wii U was dead and they needed to do something. Nvidia is dragging their feet like they did with the Tegra in the first place. Nin still owns mobile gaming so the Switch will do well. Gaming on mobile phones blows. The base console is only $250! Lastly, anyone at this point who tries to continue to compare them with MS and Sony are bumbling fools. It is an apples to oranges situation. you are not serious, right? DX12? windows? come on dude, if this were reddit or youtube comments you would have been slammed down pretty hard for saying something like that. lol you're comparing nintendo to xbox and sony. why? like why the **** are you doing that? they're not competitors. sony and microsoft? competitors. nintendo? not a competitor. they only care about gameplay and immersion and their IP. they have never and will never care about next gen graphics. this is not their forte. all the switch is, is a cool looking console boasting different ways to play, and nintendo IP games which there is a large audience to immediately lap it up. they're not particularly interested in third party developers making a heap of games, it's all about how to get their IP out to everyone and providing interesting and innovative ways to play and enjoy those games. I agree for the most part, however I grew up with the original Nintendo, and SNES and have to say that Nintendo hasn't been bringing it. I don't want to buy a console for the 3 or 4 games that May come out. I bought a Wii-U, this console had lots of potential, but the library was never made for it. If they bring the content then yes, this system will do well. Shame , as the last console was a disappointment and didn't do well I was hoping they would do a lot better this time. You can't have to many flops in the console market before you end up not making them anymore. If Nintendo is not about chasing Sony and MS, and has a little niche to themselves, and it's not about power, but immersion, why are they discontinuing WiiU so early? Because, the reality is, WiiU was woefully underpowered to drive 3rd party games. And Nintendo 1st party support was not enough to stop it from sinking. And now they are making the same mistake. As we've seen already, even the base models of consoles struggle to drive modern games. Heck, you can get 100$ discrete GPU that's as powerful as PS4, so no wonder that floor of performance is a lot higher right now. And game development lags behind modern tech. After years of incremental advance, we finally got a massive jump and games for the most part are yet to catch up. Nintendo opting for the old tech could be a mistake. How many gimmicks is one too many before Nintendo follows Sega example? considering that nintendo still managed to make money from the wii u, and how much cash they have in general, a LONG time from now. Everything is graphics HUH? Oh ya everybody has a 4k tv now.